Like most people world-wide I am shocked by the horror that is unfolding in Garza. The killing of defenceless children who have tasted and enjoyed so little of life and indeed adults who like most of us simply wish to live out their lives in peace. I do not understand fully this complex situation, all I know is that people are dying and it has to stop. The pictures seen below bear undeniable witness to the horrific suffering taking place in Gaza as a result of Israel’s indiscriminate attacks on the civilian population. Most of the dead are civilians – men women and children, no one is spared the onslaught of death and destruction raining down on them. Also animals suffer, caught up in the conflict as you will see further down. The recent weeks of violence has resulted in the deaths of at least 1,922 Palestinian deaths – 448 of them children- with more than 9,000 injured. Names of 373 Children Killed In the Gaza Conflict. The names of children killed in Gaza during the past month have been Published In UK Newspapers. http://www.buzzfeed.com/richardhjames/names-of-373-children-killed-in-gaza-conflict-published-in-u -Please click this link and take the suggested action and send a message to the UK government calling for a permanent ceasefire. Please take the time to take as many of the following actions as you can. Call on the UK government to halt the supply of arms to Israel. We must not facilitate war crimes. It began just after four o’clock on a sunny Wednesday afternoon. Four young boys, all cousins from the same family, were playing football on a Gaza beach. 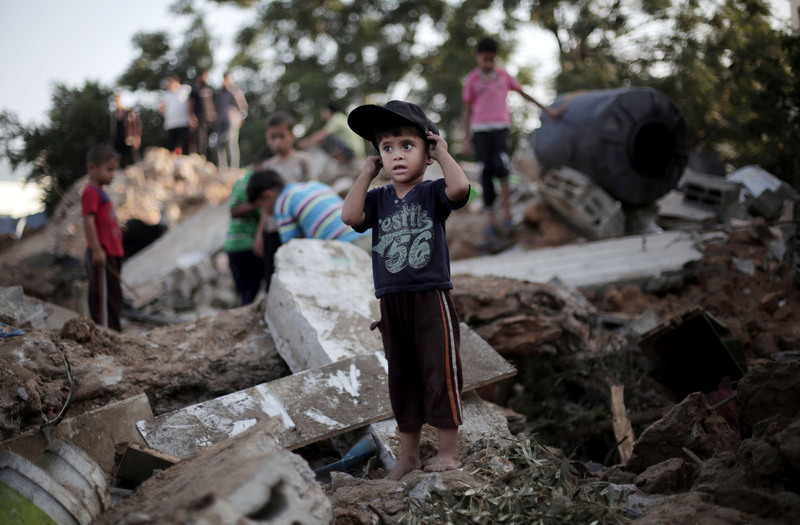 The Israeli shelling rained down – killing all four children. Do edit to personalise if you can but if this is not possible please send it as it is. Those who have survived death continue to suffer as a result of the lack of adequate medical care and attention. 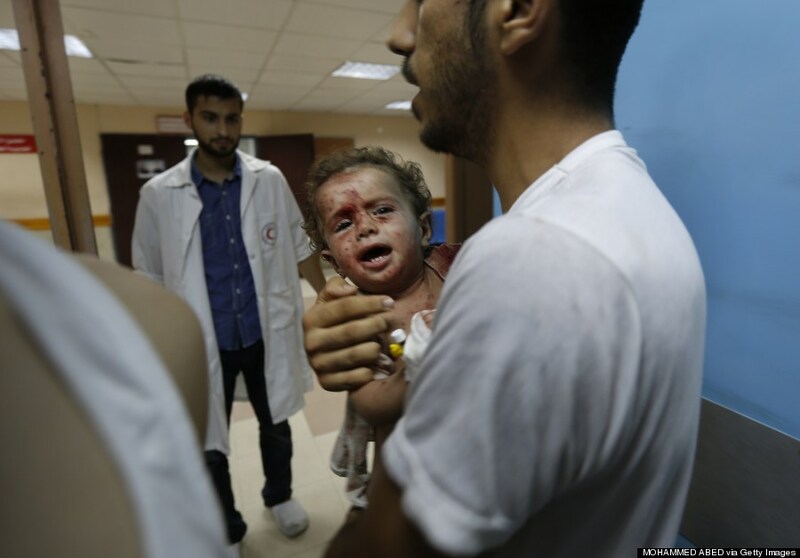 A health crisis is looming in Gaza for trapped civilians, with dire conditions in the main Gaza City El Shifa hospital. Doctors operate on the floor and in corridors. People die untreated. Media reports say only one x-ray machine is working with a lack of doctors, nurses, paramedics, and the most basic equipment. With borders closed, casualties are unable to leave to seek treatment elsewhere. The hospital ship RFA Argus is moored in Falmouth. She is uniquely designed for this type of necessity. We request that the British Government unilaterally and rapidly deploys RFA Argus to Gaza. There are just so many petitions, there can be few people who do not care about the suffering of the people of Gaza. We must act now to protect children. Join us in calling on the UN Secretary General to do all he can to put permanent ceasefire in place. Immediate and direct political intervention, with world Leaders political pressure to stop israel killing the people of Gaza, Palastine and to completely quit the terrorisation and illegal occupation of Palastine for good. The UK Government to address the serious War Crimes being carried out by israel in Palastine. 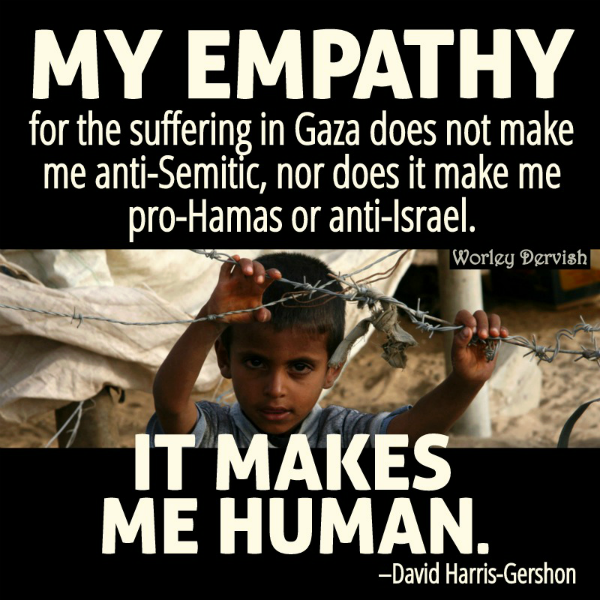 The killings of innocent Gaza/Palastinian men, women and children needs to stop immediately and the illegal occupation of the Palastinian land and homes that have been occupied illegally needs to be put right. Don’t forget the suffering of animals caught up in this shocking massacre. Please give a thought to the animal’s killed or harmed on both sides of the border. 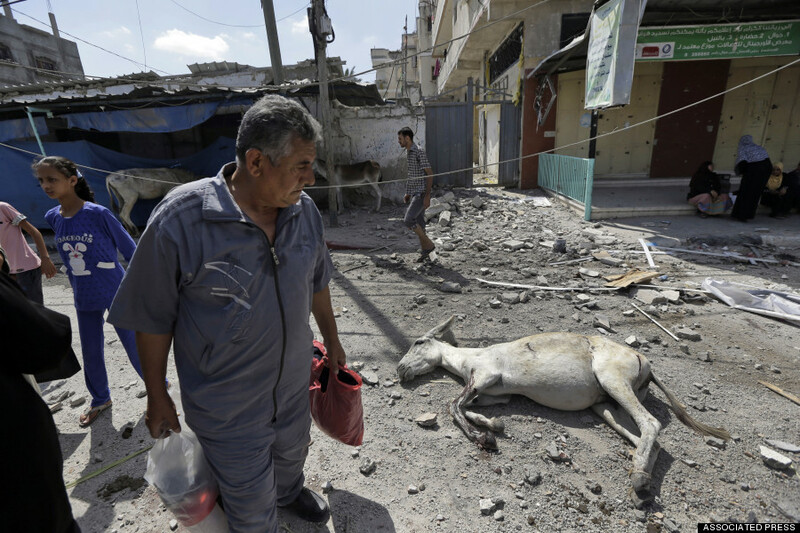 Palestinians walk past a donkey, still alive, as he lays wounded on a debris-filled road in Beit Hanoun, northern Gaza Strip, Saturday, July 26, 2014. War as practiced by humans is unknown among other animals. But we drag them into all our wars regardless – either actively as conscripts, or just by destroying them and their homes with barely a passing thought. August 07, 2014 “ICH” – “Al-Monitor.” – Tears flowed until my body ran dry of them when I received a telephone call on Aug. 3, informing me that my family had been targeted by two F-16 missiles in the city of Rafah. Such was the fate of our family in a war that still continues, with every family in the Gaza Strip receiving its share of sorrow and pain.